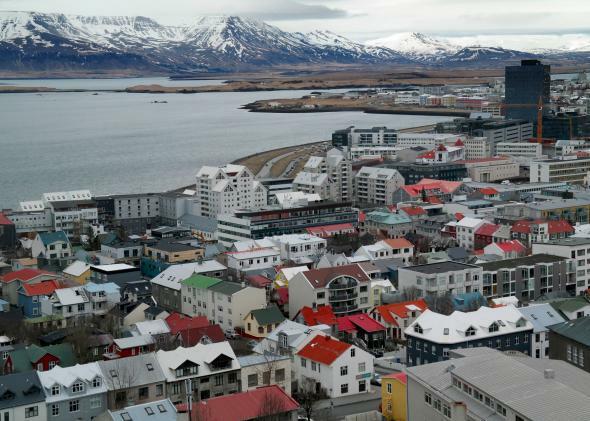 What’s it like to be the only Cuban in Iceland? Reykjavík, Iceland, seen from the top of the Hallgrimskirkja Tower, on April 7, 2014. In 2001, I found myself in an awkward situation: I was Iceland’s only Cuban. One day I got a call from the Office of the President. This honor is not as unusual as you might think. Iceland’s population then numbered 285,000, not counting puffins. You could run into him at the public swimming pools, at a bar, even at McDonald’s. Icelanders invited to the reception numbered perhaps 30, plus me. The band was late. “This is quite normal,” I explained to first lady Dorrit Moussaieff. “They are Cuban, after all.” The bus finally pulled up. In trotted two dozen beaming musicians and handlers. Rubén Gonzalez, Omara Portuondo, and Ibrahim Ferrer were in the lead. The president gave a brief but elegant welcoming speech. His wife made gracious introductions. It being too early in the day to be inebriated, the other Icelanders reverted to type. Terminally cool, they for the most part stood aloof and did not approach or speak to the Cubans. It was very un-Cuban and (to us) a bit rude. So I stepped up. “Am I the only guy here from Santiago?” I laughed to Ibrahim. He was then 74 years old and like me, a santiaguero. He lit up with a big smile. Before you knew it we were chatting away like old friends. Omara, still beautiful at 71, was elegant, sophisticated, and flirtatious. She would have been a seductress back in the day. Pianist Rubén Gonzalez was 81. His hands on the keyboard, he said, did not obey his will as they once did. Despite that, all three musicians were spry and chipper as children. My father always said that you don’t know who you are until you find out who you’re not. That day I finally figured out what he meant. Whatever else I may become, for better or for worse, I am Cuban first. They played two sold-out shows at Laugardalshöllin, then Iceland’s largest venue, capacity 5,000. When the band started “Candela” the crowd was cheering and on its feet. Even the president was dancing at his seat. I later asked another Icelandic friend how he enjoyed the show. Bear in mind, he was (when sober) like many of his kin: big, tough, cold, reticent, and without a trace of sentimentality. I’d underestimated my Icelanders. He was right. Buena Vista was filled with love. Listen for yourself. Minorities: What are “women of color”-led startups currently working on? Race and Ethnicity: What percentage of Asian Americans have American roots going further back than two generations?